Alexis Ohanian tweeted about how his wife and Brett Kavanaugh were held to different standards for their almost similar emotional outbursts. Despite criticism over Brett Kavanaugh’s visible anger and emotional testimony during his hearing on 27 September and many people saying he was unfit to serve in America’s highest court, he was officially confirmed recently. And now, Reddit founder (and Serena Williams’ husband) Alexis Ohanian, is calling out a clear and infuriating double standard—one that perfectly captures the differing way our society treats white men versus black women. In case you weren’t aware of what happened during the final match of the 2018 US Open, Serena received a penalty for “verbal abuse” after she yelled at the umpire, calling him a “thief.” She ultimately lost the match, and many called the umpire’s ruling sexist, pointing out that male tennis stars have gotten away with much worse behaviour. If you’re going to be a Supreme Court Justice -- a job that requires maintaining sober judgement -- it shouldn't matter what questions you have to answer in your job interview, you keep it together. I look forward to the cartoon @damonheraldsun puts on the front page about it. Kavanaugh was visibly angry as he testified before the Senate Judiciary Committee. Those pictures of him floating around on Twitter aren’t photoshopped. 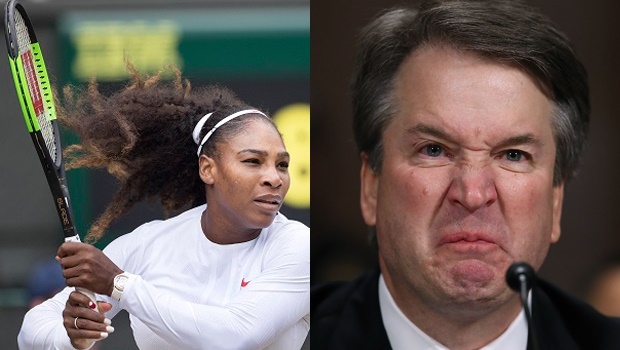 As Alexis pointed out, Serena (a black, female athlete) was punished for her emotional outburst, while Kavanaugh (a white, male judge) was ultimately promoted despite similar behaviour. And he’s not the only one to point out this racist and sexist double standard. I will never get over the fact that they pilloried Serena Williams for a less emotional response than the one that put Brett Kavanaugh on the Supreme Court. The fact that we can even make this comparison is disheartening, but that people aren’t just sweeping it under the carpet is also great. Here’s hoping that that means things will change in the future. Ek is n baie spontane persoon wat die lewe voluit aanpak. Ek is passievol oor die buitelug en 'n groot sport geesdriftige. 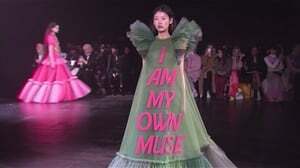 Ek glo n mens moet leef en nie bestaan nie.